Scientist led the team that in 1951 produced a synthetic molecule that ultimately helped transform sexual practices and women’s lives. 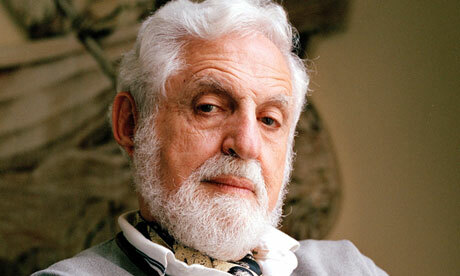 Carl Djerassi, the chemist widely considered the father of the birth control pill, has died aged 91. Djerrasi died of complications of cancer in his San Francisco home, Stanford University spokesman Dan Stober said. He was 91. “The pill,” as it came to be known, radically transformed sexual practices and women’s lives. In his book, This Man’s Pill, Djerassi said the invention also changed his life, making him more interested in how science affects society. In 1969, he submitted a public policy article about the global implications of US contraceptive research, according to the Stanford News Service. In 1970, he published another article about the feasibility of a birth control pill for men. “The thoughts behind these two public policy articles had convinced me that politics, rather than science, would play the dominant role in shaping the future of human birth control,” he wrote. Born in Vienna and raised in Bulgaria, Djerassi emigrated to the United States with his mother in 1939. He is survived by a son, Dale Djerassi; a stepdaughter, Leah Middlebrook; and a grandson, Alexander Djerassi.